Jersey Zoo is the headquarters of the Durrell Wildlife Conservation Trust which focuses on the preservation of endangered species and the recovery of degraded habitat across the world. 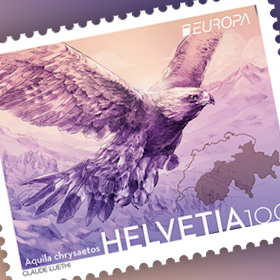 Since it was founded in 1959 by world renowned naturalist Gerald Durrell, the Trust have used their knowledge of species management to save threatened species and now, through their work in the wild and at the zoo, focus on reconnecting people with nature to ensure the safeguarding and restoration of the natural world. 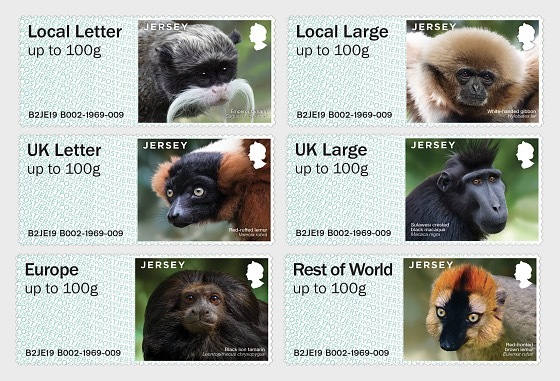 Among many other species, Jersey Zoo is home to over a dozen primates, six of them feature on Post & Go stamps that will be overprinted with postage on demand.